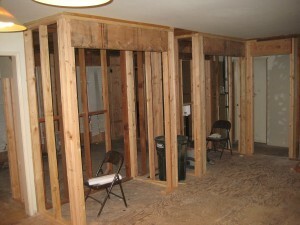 Last night, Rebecca (via Skype) and Steven were able to go through the house-in-progress. Here are a couple of very recent photos. Pantry (left chair), washer/dryer closet (right chair). 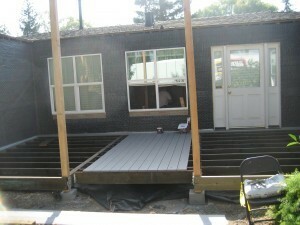 And, the front deck is starting to be laid! So, the contest! We hope to have our first blog contest available for you in a couple of days. Spread the word! Your new/old house is really taking shape. I can’t wait to see the finished product. We wrote a letter to your regular email address, Steve. I’m not sure how to answer here. My letter would be too long. This sure is a fancy website! !